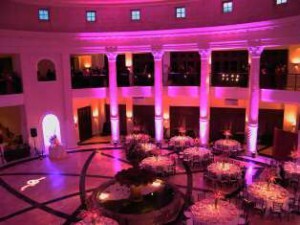 Tying in your wedding colors to your wedding venue is now easier than ever! With the colors you have chosen, we can wash the walls with our L.E.D battery powered wireless uplights. These Lights can be programmed to nearly any color. Never get Hot! No wires to tape down.